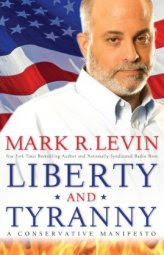 Tonight on Fox News, Andrew Breitbart unleashed a salvo heard round the criminal-sphere. He promised the video release of another blockbuster sting operation tomorrow -- which would be number four, for those counting -- involving ACORN on his new BigGovernment website. Employees of ACORN, in instance after instance, were confronted with multiple child prostitution rings involving illegal immigrants. 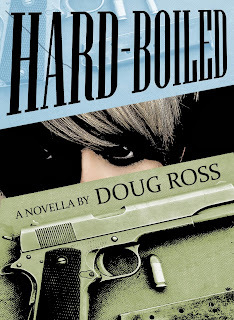 It's hard to envision a more preposterous scenario. Yet, not only did ACORN helpfully assist the young "prostitute" and her "pimp", in each case they actually fast-tracked them according to Breitbart, pushing them to the front of the queue ahead of normal folks seeking housing assistance. 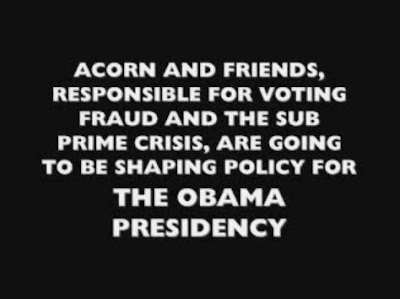 And, while, it's easy to get sidetracked with ACORN's well-reported ties to voter registration fraud, housing fraud, and who knows what else, it's worth recalling President Barack Obama's longstanding and disturbing affiliation with this disgusting outfit. Here's the Google cache's copy of Barack Obama's official "Fight the Smears" website regarding the candidate's involvement with the vote-fraud specialists known as ACORN (currently being investigated in fifteen states). 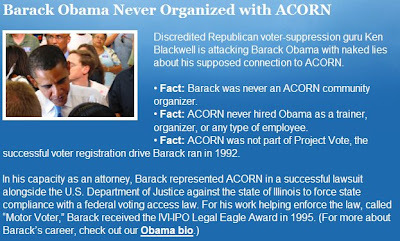 Before: "• Fact: Barack was never an ACORN trainer and never worked for ACORN in any other capacity." Well, that was the website before Audacity of Hypocrisy located a vintage ACORN article online. 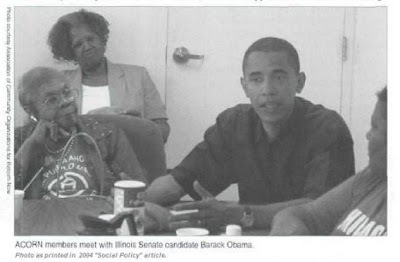 Let’s take a look at a quote from a 2004 article - Case Study: Chicago- The Barack Obama Campaign - written Toni Foulkes, a Chicago ACORN Leader, which was published in the journal Social Policy. Did we mention that Social Policy recently pulled this particular article from their website, while leaving links to all articles up? 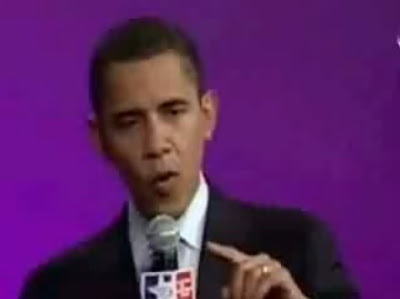 Moments after this revelation, Obama's "Fight the Smears" was hastily -er- repaired. 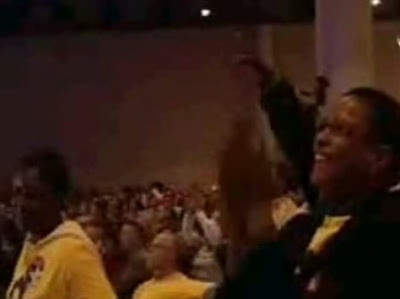 After: "• Fact: ACORN never hired Obama as a trainer, organizer, or any type of employee." Get it? He wasn't "hired" as a "trainer". I guess he just did it for free. After all, it's for the children. 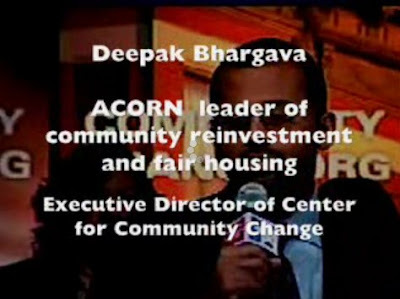 Deepak Bhargava is a director of the Center for Community Change. 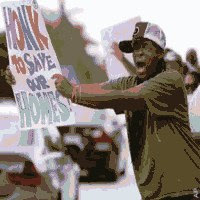 Prior to joining the center, "Bhargava was the legislative director at the Association of Community Organizations for Reform Now (ACORN), where he gained broad experience in community reinvestment and housing finance issues." Translated: Bhargava and ACORN helped set the stage for the subprime mortgage fiasco. 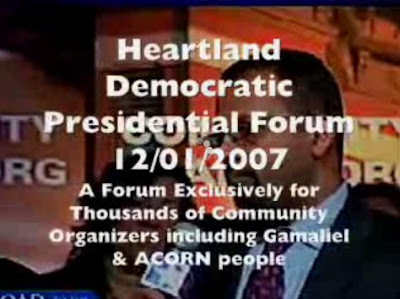 In any event, this video from 2007 captures Barack Obama's appearance at the Heartland Democratic Presidential Forum on 12/1/2007. Bhargava kicks off the evening and then gets Obama's introduction rolling. When asked whether Obama would sit down with community organizers in the first 100 days of his presidency, the Senator from Illinois responded affirmatively. "Yes, but let me even say efore I even get inaugurated, during the transition we'll be calling all of you [community organizers] in to help us shape the agenda." "We're gonna be having meetings all across the country with community organizations so that you have input into the agenda for the next presidency of the United States of America." ACORN will drive the agenda? Of what? 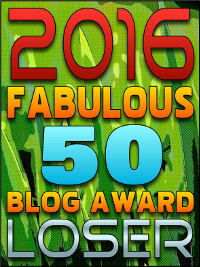 More vote fraud, law-breaking, lying, child prostitution and illegal immigration? I'm just guessing, but does that sound about right? At the time, ACORN consisted of community agitators, who falsely accused banks of "redlining" (failing to offer mortgages to the urban poor). These groups would pack bank lobbies and harass customers in order to intimidate the institutions and force the government to lower underwriting standards. One out of two ain't bad. We got the change. Hope, however, is in short supply. Linked by: InstaPundit, Big Government and W. C. Varones. Thanks!